WWI Army Capt. Robert L. Queissner designed the blue star symbol in honor of his two sons serving on the front line. 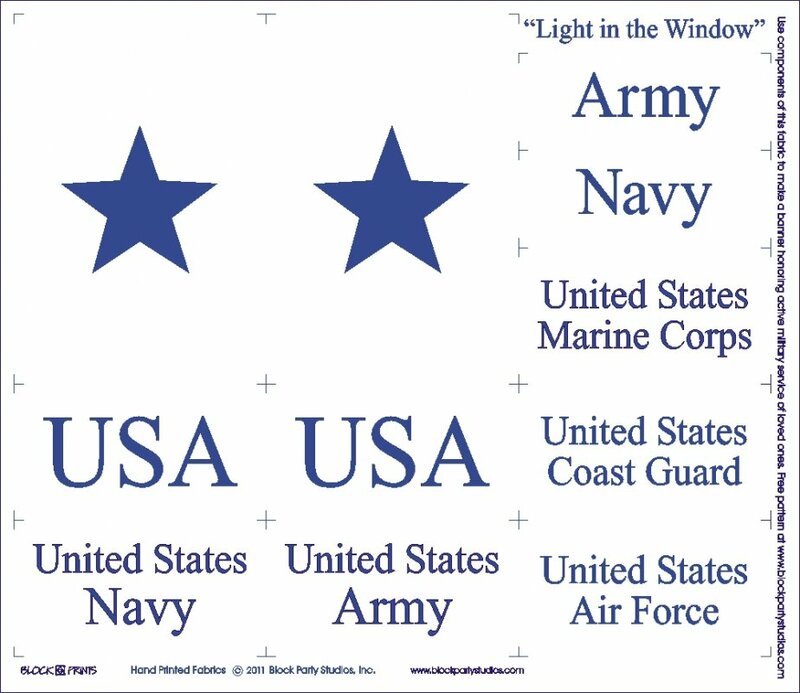 Our Light in the Window fabric panel hand printed in the USA provides the building blocks to construct your own blue star service flag. 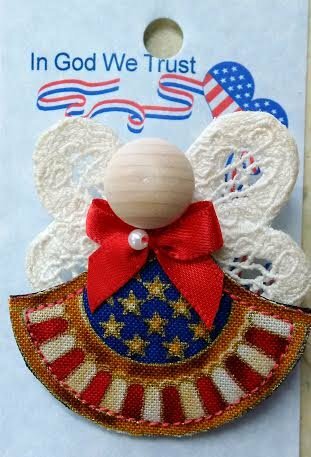 Four quotes encapsulate patriotic love of America! 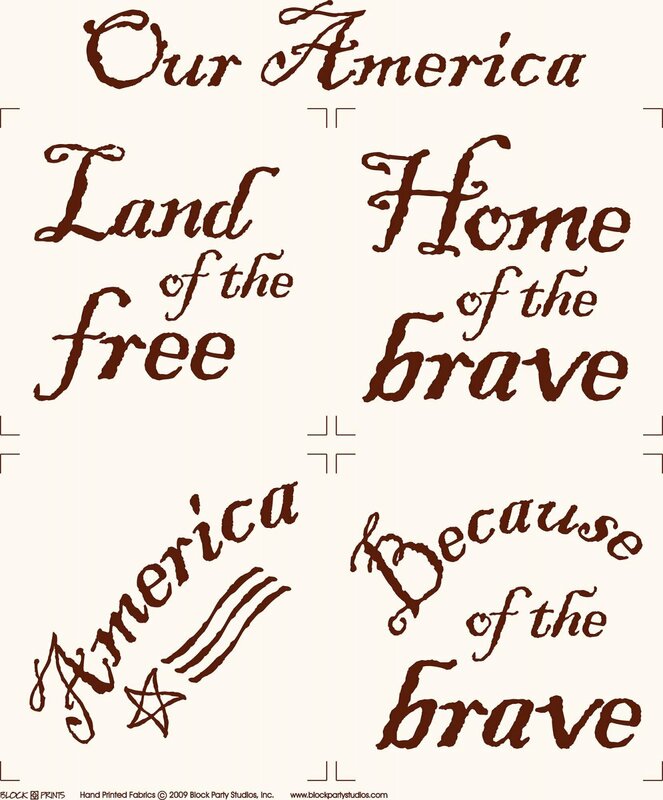 Each quote finishes to an 8" square designed to be used with our Smorgasbord pattern to make wall hangings and pillows! Hand printed in Brick Red on Natural Kona cotton.